Tons of Movie News This Week! There is a lot of entertainment and movie news this week, so let’s jump right in. This week’s movie news is pretty much a Disney-lover’s dream. 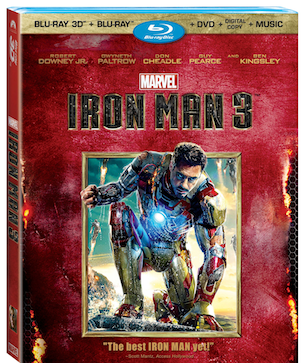 Iron Man 3 Blu-ray Combo Packs have a street date, and we’re closing in on the 20th anniversary of one of my favorite movies, The Nightmare Before Christmas. Check out all the deets below. I receive a lot of entertainment news – movie releases and clips, advanced TV programming notices, music drop dates, etc. – and it’s really more than I could conceivably post about without renaming my blog “Entertainment From the ‘Ville”. As a Disney fan, I do generally try and share some of that news, and occasionally a children’s program update. There’s a lot of it that may be of real interest to you all, though, so I’ve decided to try and write a weekly round up. Check out all the upcoming movies below. 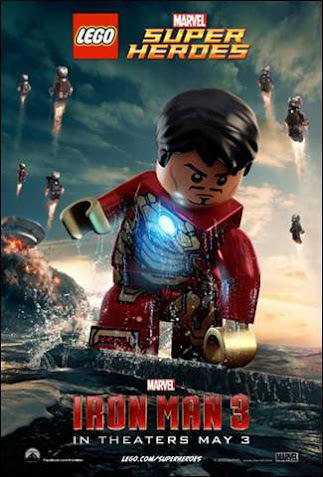 Fun new LEGO-inspired movie posters and new trailer now out.